For over 100 years, the Athenaeum has stood as a cornerstone in the Lakeview neighborhood. Fr. George Thomas, the pastor of St. Alphonsus Catholic Church in the early 1900’s, envisioned a multi-purpose social and recreation center to serve the many needs of the expanding parish. Thanks in large part to the creative vision of Fr. Thomas, and his collaboration with architect Hermann J. Gaul on this ambitious project, the Athenaeum opened at the corner of Oakdale and Southport Avenues on November 18, 1911. (on the site of the original St. Alphonsus Church) In its initial years, the Athenaeum provided St. Alphonsus parishioners with a variety of services, from meeting rooms to a library to a gymnasium, music, billiard, card rooms and 4 bowling alleys. From 1926 to 1966 The Sisters of Notre Dame ran a girls commercial a high school on the second floor. The Athenaeum Theatre has seen its share of devastating disasters. On Thanksgiving eve of 1939 fire destroyed the second floor and the attic apartment of the building’s caretaker. There was no loss of life and the school continued with classes in the church. The fired did not touch the main stage. Classes resumed in the Athenaeum Theatre 11 months later on the second floor and expanded into the former attic into a completely new and expanded third floor. The Athenaeum conversely served as a temporary church in 1950, after a massive fire destroyed much of the interior St. Alphonsus Church. 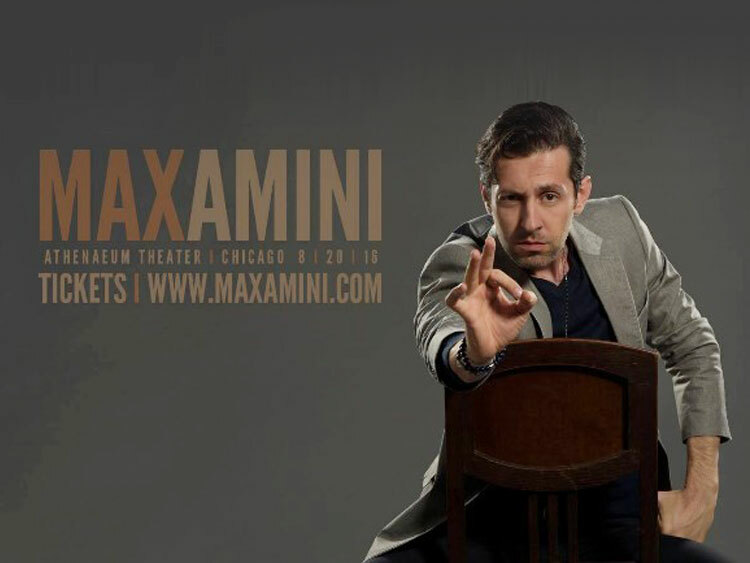 The Athenaeum Theatre is Chicago’s oldest continuously operating Off-Loop theatre. Most of the founding parishioners of St. Alphonsus were German and German-American, and conceived a neighborhood playhouse where they could enjoy performances of their beloved operas. Consequently, the Athenaeum was designed with not only opera in mind, but dance, orchestral, and dramatic productions as well. 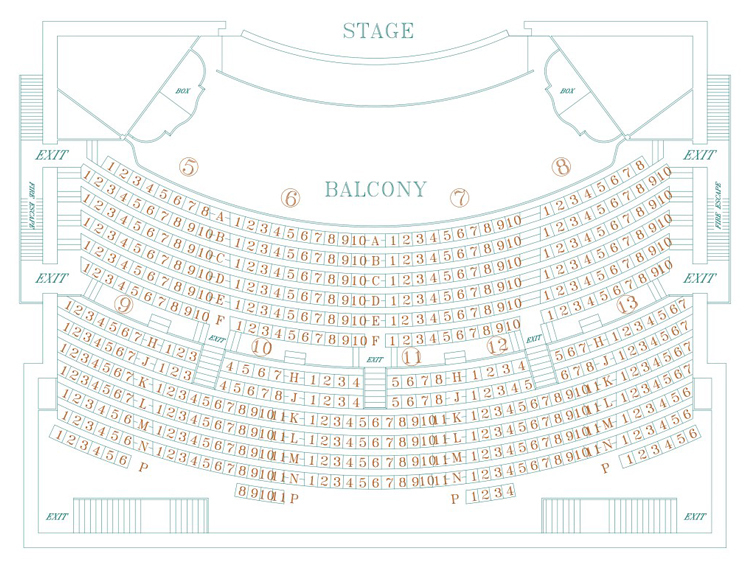 The Main Stage of the Athenaeum seats 985, with seating on the main floor, lower balcony, and upper balcony. 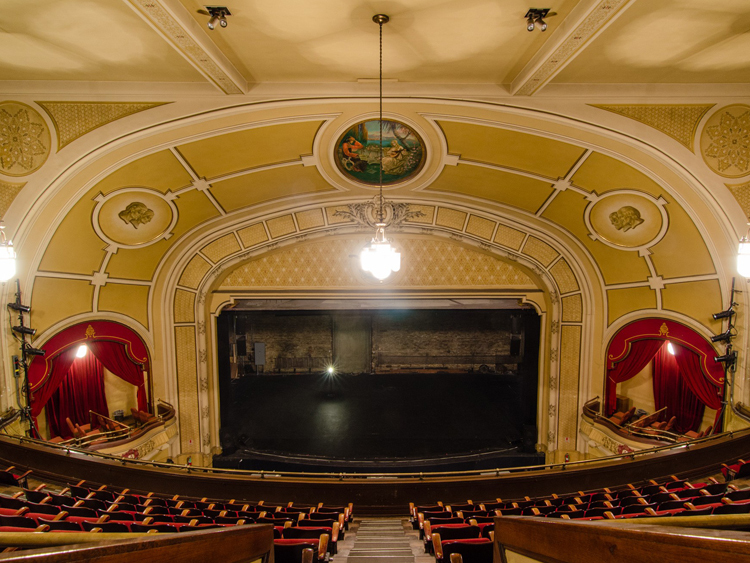 Thanks to a unique design where the balcony extends approximately 2/3 over the main floor, the Main Stage offers an intimate setting that belies the grandeur of the theatre. Even a seat in the corner of the upper balcony rests only 95 feet from tAthenaum072311-31_HDR-Edit-Edithe stage. With no barriers, like columns or pillars, to obstruct the view of the stage, patrons in the Main Stage enjoy not only its magnificent acoustics, but also clear sight lines from every seat. Athenaeum patrons can also partake of refreshments before and during performances from the Curtain Call Club, the cabaret space located just off the lobby. The Athenaeum also houses three smaller studio theatres. Studio 1 is located on the first floor, Studio 2 on the second floor, and Studio 3 on the third floor, seating 67, 81, and 87, respectively. Five Off-Loop theatres are resident in the Athenaeum Studio Theatres: Congo Square Theatre, Eclipse Theatre, Eclectic Full Contact Theatre, Interrobang Theatre, Promethean Theatre Ensemble, Dead Writers Theatre Collective, Genesis Theatrical Productions, and Step Up Productions. The second and third floors of the Athenaeum provide rehearsal spaces and dance studios, plus administrative offices for more than a dozen artistic organizations, including the Chicago Improv Productions, Emerald City Theatre, Dance Chicago, Teatro Vista, Chinese Fine Arts Society, Inaside Chicago Dance, Jump Rhythm Jazz, Striding Lion Performance Group, Chicago Arts Orchestra, Shattered Globe Theatre, Chicago Contemporary Circus Festival, Humanity in Motion Films, Chicago A Capella, The Saints, Emergence Dance, Level Dance. Since 2011 Athenaeum Theatre Productions (ATP) has managed the 66,000 sqf building. Today it provides affordable space for the arts, educational, and social service communities. The building houses four performance spaces, offices for 14 not for profit performing arts groups, rehearsal rooms, as well as a gymnasium and the Lakeview food pantry. The Athenaeum’s present management; Allan Chambers (General Manager), Jeff DeLong (Director of Marketing and Development), IMG_6758Jerry Kennedy (Business Manager), and Beth Bullock (Box Office Manager) bring more than six decades of arts administration experience to serve the needs of patrons and artists. Thanks to their vision, energy, and drive, they have infused the Athenaeum with a fresh, new energy, and bring a wide and varied lineup of talent to perform on the Main Stage.